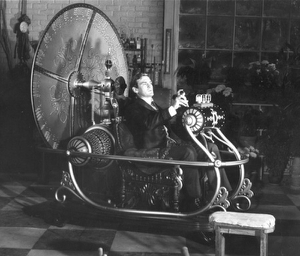 HJBlog > What Should Time Machine Ignore? Thu, Apr 24, 2008, 12:19am What Should Time Machine Ignore? ome things need not be backed up by Time Machine. For instance, take my ~/tmp folder, where I dabbling in trying to build source code projects, often to no ends. And if it is great stuff, then I do the install into /usr/local and it gets backed up from there. I also put ~/Downloads out of reach of Time Machine, since I often download programs and documents just to check 'em out, and then I toss them often in the same breath. I'd hate to have an endless amount of such things gumming up my backup drive. Two other places that can be wiped out by a disk problem without any fear of not being able to simply rebuild: /opt (the directory of the MacPorts project) and /Developer (the location of all the Xcode goodies). I forgot about /Developer up until today, so now I have probably 6G+ of extra crud in my backup drive than I needed to. Live and learn. If I didn't have such big important folders on my Desktop that I got used to using for everything, I'd include that too, since without doing so makes me reluctant to drag-n-drop files to the Desktop for temporary use. But I may end up doing it for just that reason. Currently ~/Downloads doubles as my drag-n-drop file bin. Less elegant. I also have some external drives that are old archive drives excluded. Thoughts? What are some more places that others have thought to exclude? ~/tmp and ~/Downloads are the big ones for me. When I was rolling my own backup scripts, I used to exclude ~/Library/Caches, but these days I think, what the hell, I'll keep it, and if I ever need to do a complete restore from backup, I'll have that much more of my previous state restored. At least, I think that was my reasoning. Now I'm tempted to exclude it again. It's probably the bulk of what changes from hour to hour. Another big one is Rails logs (or similar logs from other environments). If you have a slowly but constantly growing 3 gig log sitting in your project, Time Machine will make a completely new copy of it every hour. Time Machine doesn't do diffs between files, it just recopies files that have changed. Which is a benefit in some cases, but a big drawback in cases like a slowly growing log. Until the Time Machine exclusion list accepts regular expressions, I'm stubbornly not including my Rails logs. Even though I only ever have 1 or 2 projects in active development at a time. ~/Library/Caches are indeed auto-excluded, along with some other common cache locations. I just found this blog entry that goes over all the other excluded stuff. Rails logs, and other such logs, is an excellent addition. Another good one that I added lately was my EyeTV video file directory, since those files are huge. Probably any download or temporary video file folder is a good candidate. So now I can easily see if any disks are mounted and get at /tmp easily. But TimeMachine was not expecting to traverse filesystems from /Local so it backed up our network until it crashed the disk by overstuffing it!